When I was a kid, my family did not bake biscuits from scratch. We used refrigerated biscuit dough, which offers an easy and tasty option when you want biscuits in a hurry. My favorite biscuits were the ones that produced flaky layers. They were easy to pull apart so that I could spread them with butter or jam, but they were still light and fluffy. These days, I usually bake my biscuits from scratch, but I don’t have to miss out on the flaky layers because it is easy to build that into your biscuit dough! These biscuits start with White Lily Self Rising Flour. This is a light wheat flour that biscuit enthusiasts swear by and for good reason: the softer wheat consistently produces fluffy, tender biscuits. The fact that the flour is self rising – meaning that it has salt and leavening already added to it – saves you extra measuring and ensures that you are going to have exactly the right amount of rise in your biscuits. To get the layers, I cut in the butter in large chunks and fold the dough over a few times as I am bringing it together. The large chunks of butter turn into thin sheets as you roll and fold the dough, which turn into flaky layers when the biscuits are baked. Adding folds in the dough won’t produce biscuits that are as layered as puff pastry (you need a lot more layering for that! ), but the biscuits will still have much larger, easy-to-pull-apart layers than most! Before putting my biscuits into the oven, I brush them with a little bit of buttermilk and sprinkle them very lightly with salt. 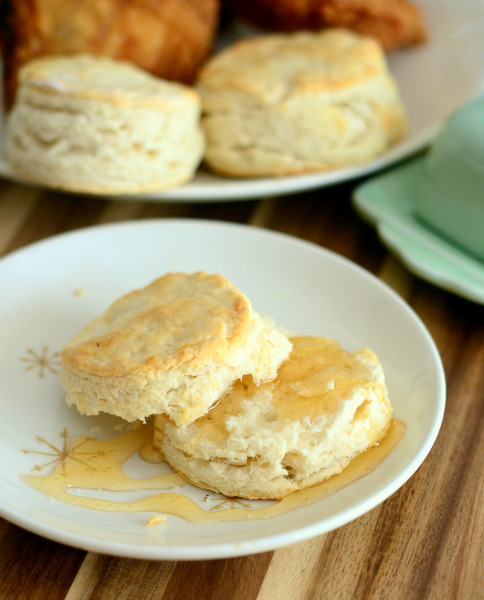 The buttermilk helps the tops of the biscuits to turn a nice golden color, while the salt just highlights their buttery flavor. I also like the salt as a contrast to the sweet jams and honey that I typically serve with my biscuits. Feel free to omit the salt if you don’t want any extra on yours, but it really is a tasty finishing touch! The biscuits are at their very best when they are fresh from the oven and still slightly warm. Leftovers can be reheated in the oven if you want to freshen them up a bit, too. In a large bowl, combine flour and butter. Using a pastry blender or your fingertips, cut the butter into the flour until it is broken down into pieces about the size of a large almond. Add buttermilk and stir with a knife until dough starts to come together. Knead dough with your hands until it forms a uniform mass. On a very lightly floured surface, press dough into a rectangle about 3/4-inch thick. Fold in half, then roll dough out until it forms a rectangle again. Fold in half and repeat process 3-4 times to help create layers in the dough. Arrange biscuits on the baking sheet. Brush tops with a little bit of buttermilk and sprinkle lightly with salt. 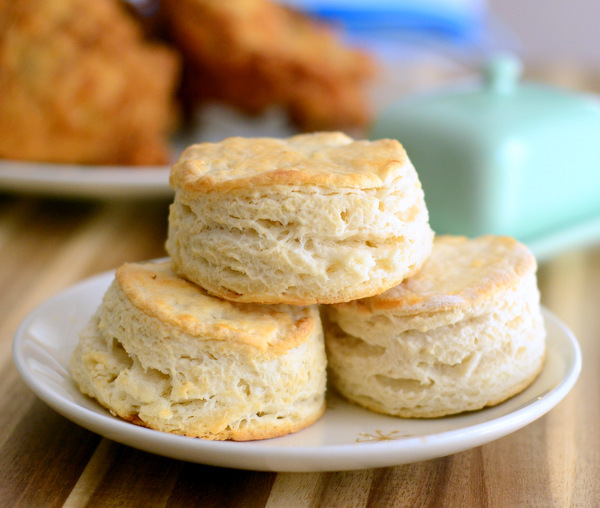 Bake for about 15-17 minutes, until biscuits are golden on top and completely set. Allow to cool slightly before serving. 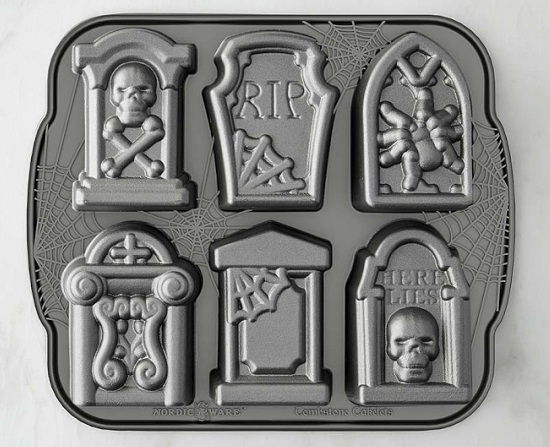 Your biscuits look so good!! All your recipes look wonderful.